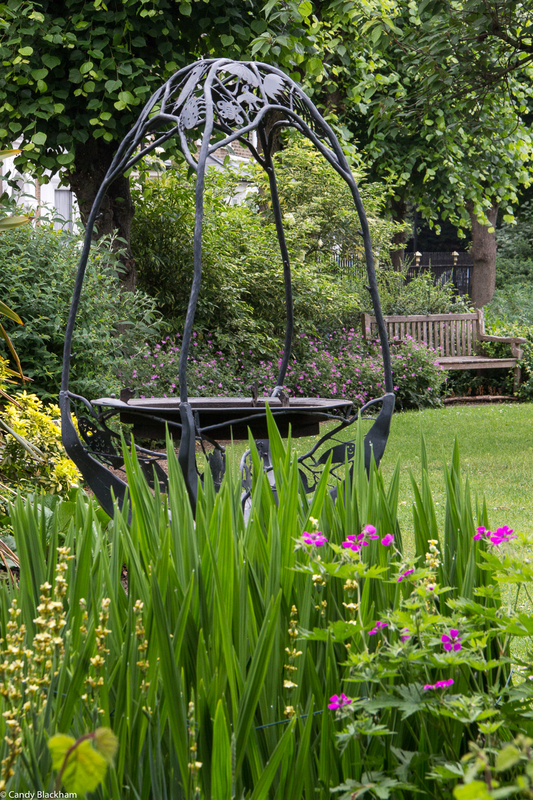 One of the many pleasures of Open Garden Squares Weekend is to ‘discover’ a beautiful garden in an unexpected setting. 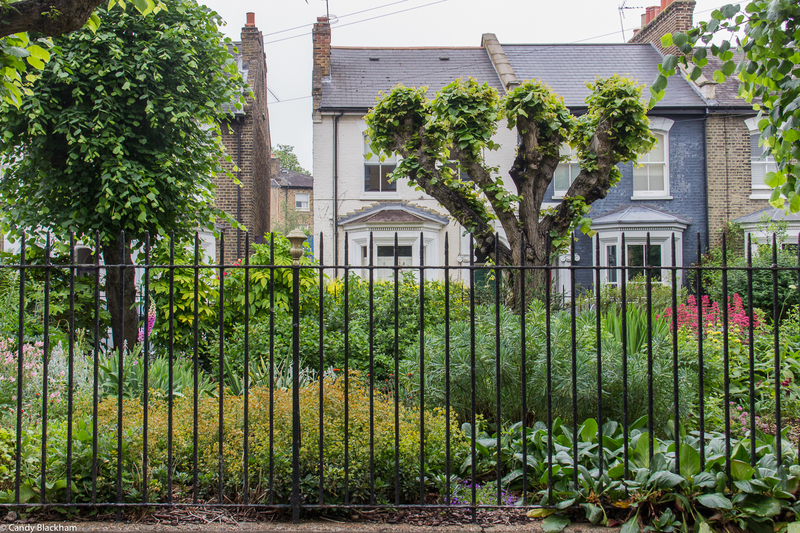 Fassett Square is such a pleasure – a modest garden square enclosed by railings in a mix of Victorian and 20C buildings is green and lush with some pretty plant combinations. 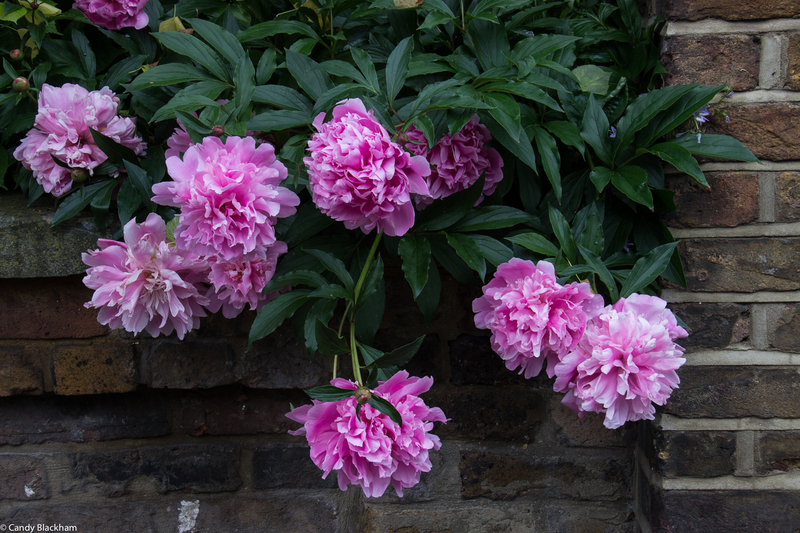 You know this will be a cared-for and enjoyable garden when you walk into the square and see luscious pink paeonies draped over a wall – do visit! 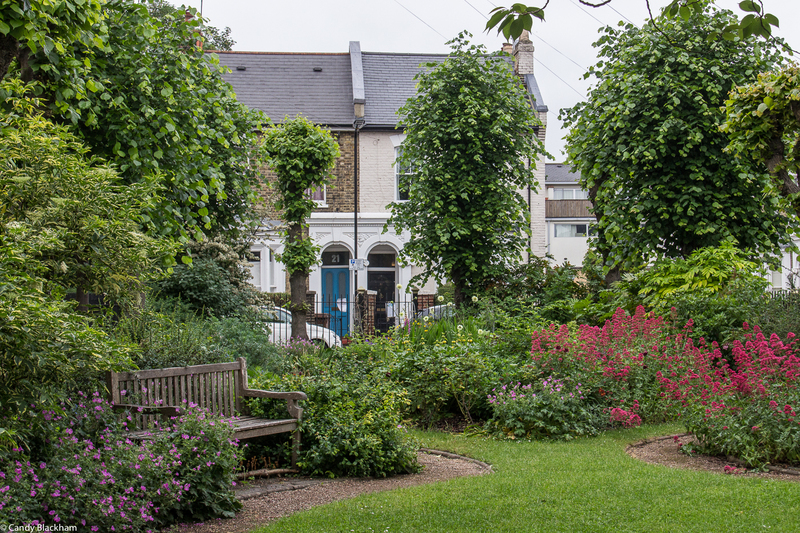 Fassett Square was built in the 1860s as London expanded rapidly and ‘…The earliest occupants were typically clerks, merchants, master craftsmen or commercial travellers and were sufficiently well-off to employ at least one servant…’. 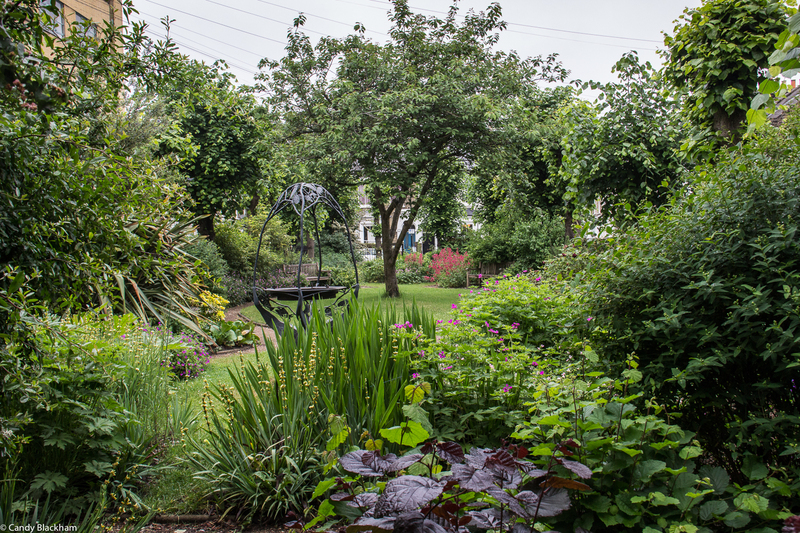 The garden maintains the original layout of paths and even the pollarded trees have not changed for close to a century. 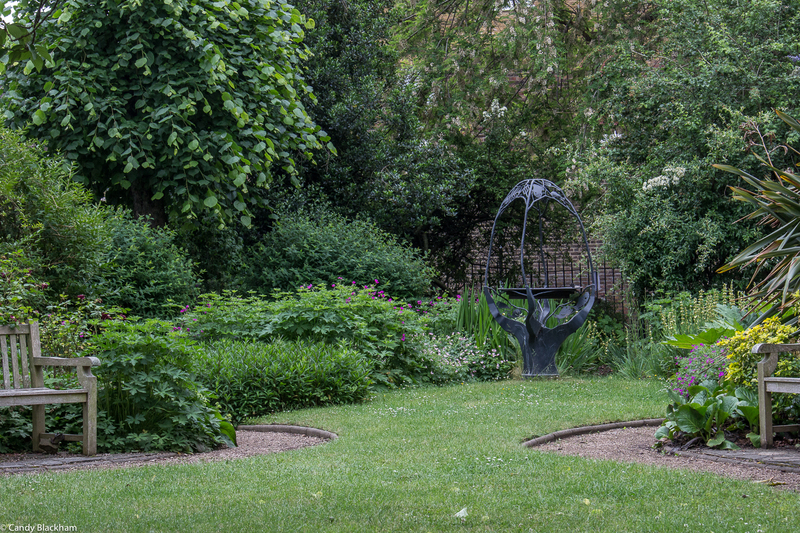 Fassett Square is a beautiful, peaceful garden – a total surprise to me – do visit during Open Garden Squares on Sunday 10 June. What a beautiful garden. Hate to think what it must cost to live there though. 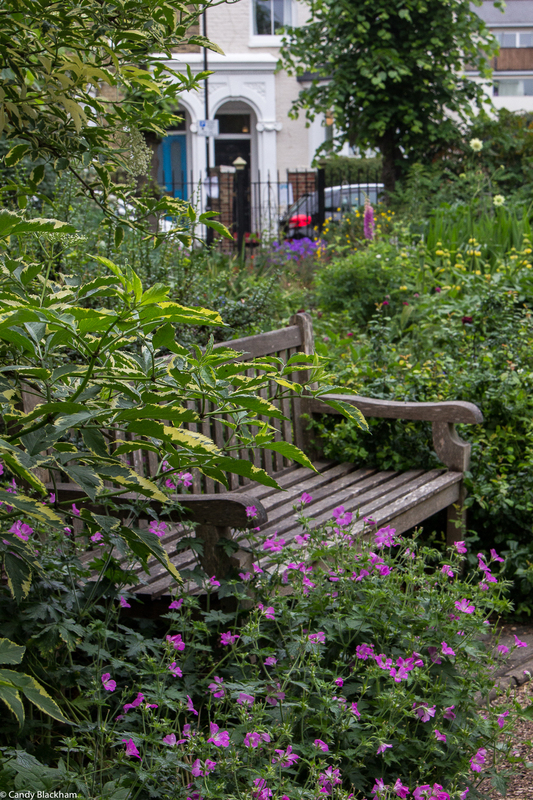 It is beautiful and well looked after by the residents. 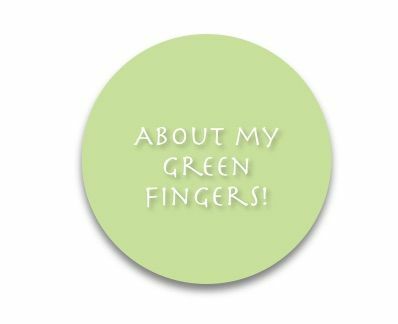 London is generally quite expensive and Rightmove gives an good idea of prices in this area.